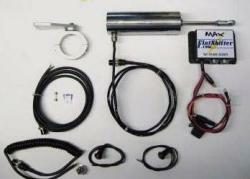 Bike Engined Cars & Motorcycle Quickshifter Kits. The team at Flatshifter are passionate about designing and building professional high quality quickshifters and unique motorsport professional shift systems for over 15 years, our team have between us competed in motorcycle racing, drag racing, F750 race cars, karting, as well as bike engined cars / motorcycle powered cars (single seat racing). In Y2K we had been distributing quick-shifters for only motorcycle engines (The usual full throttle clutchless up shift only type) for about two years and had started receiving customer inquiries about the possibility of clutchless down rev matching gear shift system. 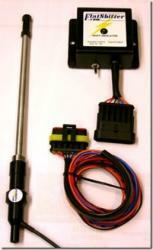 As the only bump & blip systems ,available then were either crude fixed blip systems or high end systems used in F1, touring cars and world rally cars, we set out to develop our own unique rev matching auto throttle blipping system . Our aim was to produce a professional shift system that was reliable, affordable, simple to adjust, versatile, low maintenance and worked at all engine and road speeds while being extremely effective. It was also essential to have an over-rev inhibitor to prevent engine damage caused by the vehicle pushing the engine through the rev limiter by making too many downshifts too quickly. We then started manufacturing our own up and down bump & blip system, which has proved extremely popular with bike engined cars owners and sequentially equipped race car owners who were unfamiliar with sequential gearboxes with many owners found them easy to break or damage through bad downshifting. 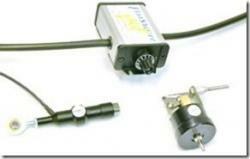 This professional bump & blip quickshifter system has been continuously refined and updated over the years with the use of our own vacuum actuator, and control valves and has proved to be extremely reliable with several thousand units in regular use on motorcycles, race cars ( bike engined cars ) and just about everything non motorcycle fitted with a sequential transmission for clutchless shifting. We are carried out further developments to produce an electric solenoid button or paddle operated gear selector system that would seamlessly integrate with our clutchless gear shift kits that would enable effortless reliable gear shifting up and down the gearbox on any sequential transmission ie not just motorcycle engines but Quaife, Elite, Sadev, Drenth,Hewland etc etc sequential transmissions bolted to V12 V10 V8 4 cylinder etc race engines . We have developed yet another 2 new Flatshifter products introduced in 2013 designed to improve the somewhat clunky standard gear selection on most motorcycle gearbox’s this product also greatly reduces missed shifts /false neutrals take a look at the Flatshifter Slik-shift kit.